After one of the fiercest album chart battles of the year, The Killers' third album Day & Age looks set to take the Number 1 slot in the UK ahead of Guns N' Roses' Chinese Democracy. On reported first day sales, Day & Age had sold 70,000 to Chinese Democracy's 50,000. But elsewhere, the 15-years-in-the making Chinese Democracy appears primed to take chart honours. The official Billboard US chart will not be published until 3 December, but Chinese Democracy will hit Number 1 in Canada, New Zealand and Finland among other territories. In the US, Beyonce's I Am…Sasha Fierce is currently Number 1 with Nickelback's Dark Horse at Number 2. 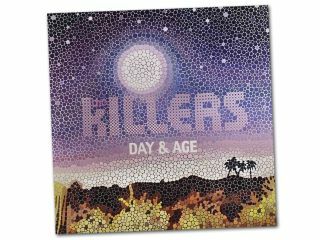 Read MusicRadar's review of The Killers' Day & Age. Read MusicRadar's review of Guns N' Roses' Chinese Democracy. Learn 15 things you didn't know about Nickelback.